Dr. Buckner teaches Design of Electromechanical Systems (MAE 535), a graduate course he introduced in 2000. This course reviews the fundamentals of electromagnetic (EM) theory and introduces the computational tools needed for EM design. During the last half of the semester his students complete industry-sponsored EM machine design projects. At the undergraduate level, Dr. Buckner teaches Engineering Dynamics (MAE 208) and Principles of Automatic Control (MAE 435). In Engineering Dynamics he brings to class guest lecturers who use engineering dynamics in their work. His Principles of Automatic Control culminates in a “hands on” design project, where students apply modeling and simulation tools to develop controllers which are validated computationally and experimentally. Dr. Buckner uses his research videos to illustrate the power of control systems, like one of an off-road vehicle showing the dramatic improvements in ride quality that can be obtained using an active suspension system. Dr. Buckner’s research is interesting to students because it focuses on the development of technologies that address human health needs, because it balances mechanical and electrical systems design, and because of its “hands-on” nature. His students are engaged in research and development using theoretical, computational and experimental tools with a focus on technology transfer and commercialization. Dr. Buckner’s students tend to be independent, motivated and creative. Outside of work, Dr. Buckner enjoys spending time with his family, working outdoors, fishing and hunting. Dr. Buckner's long-term goal is to revolutionize cardio-thoracic surgery through the development of miniature robotic systems. 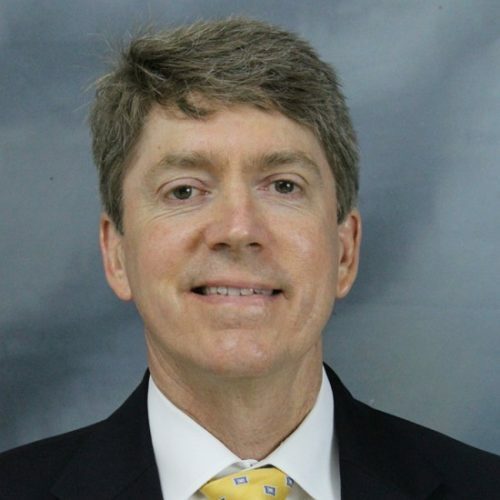 Dr. Buckner is presently developing 1) actuation and control systems for robotic catheters, 2) innovative medical devices for minimally invasive surgery, and 3) intelligent control algorithms for electromechanical systems. Within MAE he collaborates with Dr. Dow, Dr. Eischen, Dr. Fang, Dr. Roberts, and Dr. Wu. Other research collaborators at NCSU include Dr. Cormier (ISE), Dr. Sanwald (MSE), Dr. Chanoit (CVM), and Prof. Laffitte (CID). Providing reconnaissance and situational awareness in large and complex subterranean facilities will require multiple distributed sensing platforms (e.g. small multi-rotor UAVs) that can distribute themselves and navigate autonomously throughout the space. Implementing such a system poses several design challenges. How can multiple vehicles be inserted into the area with minimal human intervention? How can the swarm intelligently manage power levels across vehicles to provide both rapid initial mapping as well as continuous sensor coverage and endurance? These questions highlight UAS mobility, system power management, and decentralized exploration as key challenges in the development of a rapid subterranean mapping and monitoring system. One potential solution is a man-portable â€œmothershipâ€: an autonomous ground robot that can serve to launch, recover, and re-energize a swarm of small aerial vehicles. The mothership can be designed for rapid deployment through a small doorway or window. If needed it can then traverse to an initial launch point for the UAVs, and can continue to move forward to new locations as needed. When the power level of an individual UAV becomes low, it can return to the mothership for automatic battery recharge or replacement. Other vehicles in the swarm can be reallocated to continue exploration forward or maintain sensing and communication coverage throughout an area to be monitored. The ground robot itself can also provide additional heterogeneous capabilities to the system, including carrying larger sensor packages that exceed the payload capabilities of the UAVs, and perhaps featuring manipulator arms or sample collection equipment to investigate objects of interest. The proposed project will investigate this mobile UAS mothership concept through a combination of trade-off studies, analysis, conceptual design, and prototyping and testing of key subsystem technologies. Three-dimensional in vitro cell cultures are finding increased application in the study of solid tissues. Both "simple spheriod" cultures derived from single cell types and "organoid" cultures derived from multiple cell types can be readily established using 96-well plates molded from ultra-low attachment substrates. Because these 3D cultures more closely resemble in vivo tissues than their 2D counterparts, they may provide more accurate modeling of in vivo tissues and prediction of patient outcomes. A limiting factor is the histologic analysis of 3D cultures using existing tools and techniques: the manual process is time-consuming and inefficient and cannot compete with the throughput of robotic systems used in the screening in microwell plate formats. This research seeks to overcome these limitations through the development of Smart Material Carrier Basket Arrays (smCBAs) that will enable simultaneous and direct transfer of the spheroids/organoids contained in a 96-well plate into a histology cassette for routine processing and paraffin embedding of the 8 x 12 array as a single specimen. Our proposed smCBAs will be fabricated from laser-cut sheet nitinol, which will be thermally activated to facilitate this transfer. American automobiles consume 365.7 million gallons of gasoline per day, and international demand for fuel is increasing at a staggering rate. Although revolutionary technologies are on the horizon, improvements to existing engines have the potential to improve efficiency and reduce emissions now, while providing benefits far into the future. Introducing even modest improvements (5-10%) in the efficiency of internal combustion engines has the potential to save millions of gallons of fuel per day with reduced emissions. One technology with the potential to significantly improve the efficiency of internal combustion engines while simultaneously reducing emissions is variable-geometry spray (VGS) fuel injection. This patent-pending technology enables independent control of fuel flow rate and spray geometry as it enters the combustion chamber. With very limited R&D resources, the investigators have developed three generations of VGS fuel injector prototypes, and preliminary results demonstrate device functionality with low-pressure non-combustible fluids. This VGS injection technology contains novel features which promise improvements over existing injection methods: dual computer-controlled actuators which regulate spray geometry and fuel flow rate independently and continuously throughout the injection process. Due to the uniqueness and commercial potential of this technology, patent applications have been filed through N.C. Stateâ€™s Office of Technology Transfer (International Application #: PCT/US2009/030707, US Application #: US 2011/0005499 A1). This proposal seeks Chancellorâ€™s Innovation Funding to support the fabrication and testing of VGS fuel injector prototypes in an internal combustion engine to validate the device's performance and enhance opportunities for licensing the technology. The primary objective of this Phase II research will be to design, fabricate, and surgically evaluate a robotic catheter prototype for atrial ablation procedures. Phase I research successfully demonstrated the feasibility of this concept through the development of a working catheter prototype with two highly maneuverable shape memory alloy (SMA) actuated bending segments. Phase II research will build upon the design achievements of Phase I to produce a catheter with full ablation capabilities, enhanced maneuverability, computercontrolled ablation modes, and contact stability during ablative energy application. This technology has the potential to transform such procedures by providing unprecedented maneuverability, visualization, and access to open spaces within the heart. The primary objective of this Phase I SBIR proposal is to develop and demonstrate shape memory alloy (SMA) actuated catheter technology that will result in the development of robotic catheters for minimally invasive surgery and catheterization in Phase II. This technology has the potential to transform such procedures by providing unprecedented maneuverability, visualization, and access to open spaces within the body. Benefiting from the precision and repeatability of computer-based control, these catheters have the potential to impact a variety of medical fields, including cardiology, cardiac surgery, pediatric surgery and urology. Advanced fuel injection strategies are central to efforts to improve the performance and emissions characteristics of internal combustion engines. Existing fuel injectors severely restrict the strategies that can be explored, however, because of their fixed spray geometries. We propose to develop and experimentally study a novel fuel injector that can continuously vary its spray angle throughout the injection process, and do so independently of fuel flow rate. Such an injector could increase engine efficiency and reduce pollutants by optimizing air-fuel mixing and the distribution of atomized fuel within the cylinder. Preliminary data (from experimental testing at atmospheric conditions and corresponding numerical simulations) supports the feasibility of our proposed Variable Geometry Spray (VGS) technology, but further testing at realistic engine conditions is needed. Using this VGS prototype, we propose to investigate the transient effects of spray geometry variation on fuel atomization, air-fuel mixing, ignition, and pollutant formation processes at realistic injection pressures and in-cylinder ambient conditions. Our research will experimentally demonstrate computer-controlled, VGS fuel injection and will quantify its impact on the production of NOx and SOx, as well as overall combustion efficiency. We will directly compare the results from our prototype injector to commercially available gasoline direct injectors. Various imaging and measurement techniques will be used to study the structure, droplet size, and mixing characteristics of variable geometry sprays. Chemiluminesence and [other techniques?] will be used to examine pollutant formation. If this research is successful, we expect it will lead to significant near-term improvements in existing IC engines and will facilitate the implementation of new combustion modes such as HCCI and flexible fuel capability. The primary objective of this research is to develop and demonstrate shape memory alloy (SMA) actuated robotic catheters for minimally invasive surgery and catheterization. This technology has the potential to transform such procedures by providing unprecedented maneuverability, visualization, and access to open spaces within the body. Benefiting from the precision and repeatability of computer-based control, these catheters have the potential to impact a variety of medical fields, including cardiology, cardiac surgery, pediatric surgery and urology. Our specific Phase 1 research objectives: 1)	Design and fabricate an enhanced SMA actuated robotic catheter with 4 degrees of freedom (DOF). This robotic catheter will be built around a flexible conduit to facilitate device functionality, with two SMA-actuated segments at the distal end (each with two DOFs). Our design efforts will focus on enhancing the functionality, robustness and reliability of our existing 2 DOF prototype catheter. 2)	Develop efficient control algorithms and an intuitive user interface for catheter navigation. The focus here will be enhancing the accuracy and bandwidth with which catheter segments are actuated. An customized user interface will be developed to enable intuitive and precise tele-operation of the catheter tip. 3)	Demonstrate the functionality and advantages of this robotic catheter by performing epicardial lead placement procedures on pig cadaver models. Our Phase I research will culminate in a series of surgical evaluations that will clearly demonstrate the potential of robotic catheterization. Epicardial lead placement is a surgical procedure requiring ?open access? (full median sternotomy) to the thoracic cavity. By transforming this procedure into a minimally-invasive, robot-assisted one, the potential benefits of this technology will be apparent. The design of controllers for active and semi-active vehicle suspensions has been the focus of extensive research in recent years. Typically, researchers utilize low-order, linear, time-invariant models for controller design and simulated performance evaluation. Such models tend to be easy to develop and utilize in the design process. However, the dynamics of tires and suspension components is inherently nonlinear, particularly for off-road vehicles. Off-road vehicles experience large tire and suspension displacements, where the nonlinear kinematics and damping characteristics are significant. The accuracy of low-order, linear models is inadequate for such applications. Other researchers have developed sophisticated tire models using finite element analysis (FEA) and other techniques. While the accuracy of these models is superior, they may contain thousands of states and require extensive computational resources to perform offline simulations. The complexity of FEA models make them impractical for controller synthesis. The objective of this research is to develop and experimentally validate dynamic models of tires and suspension components for off-road vehicles. The focus will be to optimize the accuracy/complexity tradeoff, so that these models may later be used for the synthesis of control algorithms for semi-active suspensions. The objectives of this research are to assess the current state of the art of real-time event detection methods, including algorithms, techniques, architectures, and areas of implementation. Develop intelligent and novel ways to detect and diagnose anomalous system behavior. The platform upon which to test these methods will be a model of the GE F110 gas turbine engine. The goal of this proposal is to develop a new method to create Non-Rotationally Symmetric (NRS) surfaces that overcomes the limitations of the current techniques and is fast, accurate and inexpensive. Diamond turning (DT) has revolutionized the fabrication of lightweight optical surfaces for defense and science applications such as forward-looking infrared radar and infrared spectrometers. It has made this impact not only because it can accurately and rapidly fabricate diffractive, refractive and reflective optical surfaces, but because it can create reference features tied to the optical surfaces to guarantee optical alignment. An emerging trend in optical design is the use of NRS surfaces that reduce complexity, bulk and weight. To create these surfaces, DT machines have been modified with a low-amplitude Fast Tool Servo, a third axis or a fly-cutter. The problem with the FTS is its limited range and the other techniques are plagued by thermal drift during long fabrication times. The proposed Live Axis Turning (LAT) process combines evolving technologies of air bearings, linear motors, high-resolution encoders and high-speed control systems into a moving lightweight toolpost on a conventional DT machine. The result is a more flexible machine that can increase production and reduce cost for NRS components.